Installed solar capacity in Oregon has grown by 261% over the last year. 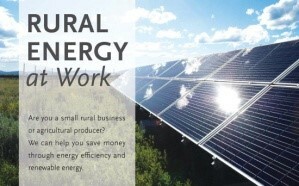 EnergySage Solar Data Explorer – Oregon – Review the costs and benefits of installing solar panels in Oregon, based on real price data from solar quotes. Learn more about the U.S. Solar Market Insight Report. 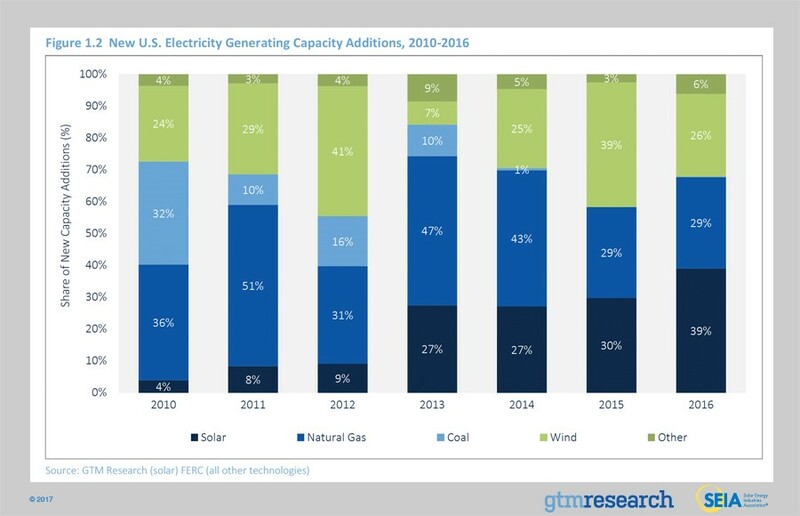 In a record-breaking year for solar, the U.S. market installed 14,762 MWdc of solar PV in 2016 – nearly doubling the capacity installed in 2015. 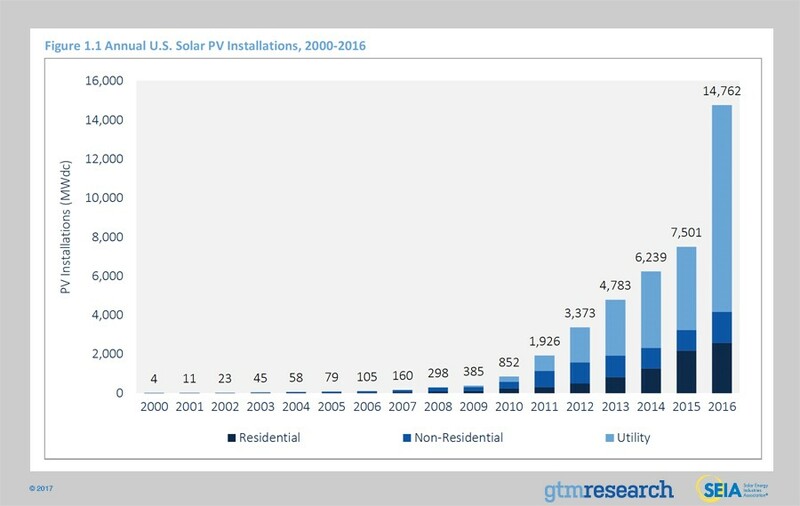 Growth was primarily driven by the utility PV segment, which installed more in 2016 than the entire market in 2015. For the first time ever, solar ranked as the No. 1 source of new electric generating capacity additions brought on-line on an annual basis at 39%. On average, a new megawatt of solar PV capacity came on-line every 36 minutes in 2016. In 2016, a record 22 states each added more than 100 MW of solar PV. Q4 2016 was the second consecutive quarter that California added more than 1 GWdc of utility PV and the largest single quarter by one state. At 19%, residential PV saw its growth slow in 2016 from record growth in 2015 due to second half slowdowns in a handful of established state markets, offset somewhat by the emergence of several new state markets. The once-nascent community solar market quadrupled in 2016, playing a key role in supporting the largest year ever for the non-residential PV market. GTM Research forecasts that 13.2 GWdc of new PV installations will come on-line in 2017, down 10% from a record-breaking 2016. Utility PV is expected to account for 66% of that new capacity. By any measure, 2016 was a record year for solar in the United States. The PV market grew 97% over 2015, installing 14.8 GWdc from over 370,000 individual installations. For the first time, solar represented the largest new source of electricity generating capacity, beating out both natural gas and wind for new capacity additions. Twenty-two states individually installed over 100 MWdc in 2016, up from 13 in 2015 and just two in 2010. This geographic diversification occurred across market segments. In the residential sector, states such as South Carolina and Texas experienced major growth in 2016, while the utility sector saw the most expansion in Georgia, Minnesota and Utah. California remained the largest state market, but its share of total capacity fell to 35%, the state’s lowest share since 2012. Notably, this share is expected to continue to fall as utilities aggressively procured utility PV to meet the state’s renewable portfolio standards in prior years, while near-term anticipated deceleration across distributed solar markets will lead to California’s overall share of the solar market dipping below 30% for the first time since 2010. Over the next five years, Oregon is expected to install 17 times the amount of solar installed over the last five years, putting them 14th in the nation.